“I think every child has a right to participate in our community as a healthy, thriving child," State Rep. Monica Stonier, one of the bill's sponsors said. “Personal rights are important as long as they don’t impose on the rights of others." All 50 states have laws regarding immunization of vaccines for school children, but Washington is one of 18 states that allow for personal exemptions in addition to medical and religious objections. According to the National Conference for State Legislatures, only Mississippi, California and West Virginia do not allow for religious exemptions. All three states allow for medical exemptions, provided they are documented by a physician. California eliminated personal exemptions in 2015 following a measles outbreak that made international headlines after it was determined that exposure to the virus began at Disneyland. The California outbreak also spread to Canada and Mexico when visitors from those countries returned home after being exposed while at the amusement park. The state also had an outbreak of whooping cough in 2010 that infected nearly 9,000 and was the cause of 10 infant deaths. 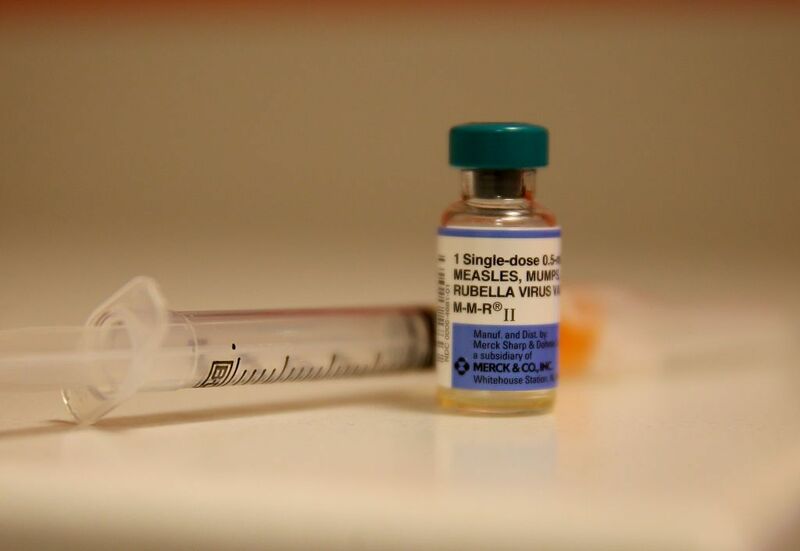 Most of the measles cases in Washington have occurred in Clark County where an above average number of school-aged children have not been vaccinated due to personal exemptions by their parents. During the 2017-2018 school year, approximately 6% of students enrolled in school in Clark County had been personally exempt for at least one vaccine, 5% of the students were exempted from the MMR vaccine, according to data from the state Department of Health. In the entire state, 4% of students claimed an exemption for that school year, 3.7% of those for personal reasons. Under 3% were exempt for the MMR vaccine. MyNorthwest.com reports that while the bill pushes to eliminate personal exemptions for the MMR vaccine, Stonier said that medical and religious reasons would not be impacted. On Friday, hundreds of people arrived in Olympia, Washington to protest the bill at the state capitol as the House Health Care and Wellness Committee heard testimony in regard to HB 1638, the Associated Press reports. During the hearing, John Wiesman, the secretary of state for the Washington Department of Health said: "the outbreak we are dealing with right now is larger and infecting people faster than recent history." Weisman also said that limiting exemptions was to protect children, the AP reports. However, Susie Corgan, of Informed Choice Washington, told the AP that parents have the right to decide to exempt their children from being vaccinated. "Where there is risk, there must be choice, and there is risk with this vaccine as there is with any other medical procedure," she said.